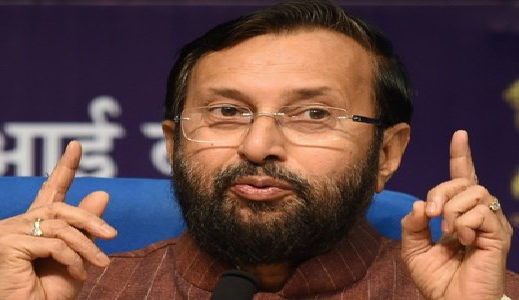 New Delhi: Minister of Human Resource Development Shri Prakash Javadekar today directed the Navodaya Vidyalaya Samiti (NVS) to take measure for adoption of solar energy in all Navodaya Vidyalayas. Chairing the 35th Meeting of Executive Committee of Navodaya Vidyalaya Samiti in New Delhi today, he asked the Samiti to seek the guidance of Ministry of Power to speed up the process. He applauded the performance of the Navodaya Vidyalaya students in 10th and 12th Board and particularly the impressive performance of NV students in IIT-JEE Advance and NEET. He noted with satisfaction that out of the 14183 NV students who appeared in NEET, 11875 qualified in the examination of which 7000+ already placed in various good medical colleges. Navodaya Vidyalayas have already become a brand for quality education and the recent successes have further enhanced its brand. Acknowledging the important role being played by some of the NVS alumni in guiding students voluntarily to prepare for competitive examinations, Shri Javadekar directed the NVS to use social media network to connect with more such NVS alumni. This, he said, would broad-base the voluntary involvement of alumni and have a positive impact on the progress of Vidyalayas. He also appealed to NV alumni to come forward in a big way to support their Alma matter. Shri Javadekar also desired that the teachers who are deputed for training abroad through scholarship should be asked to share a report on their learning and its utility for the system. He also directed that water and solar energy harvesting should form part of proposals in the new building plans and explore the possibility of having water harvesting and Bio-Gas plants in existing campuses. While reviewing the functioning of NVS, the Minister directed the Samiti to conduct study of positive impact of: 1) Student-Teacher living together 2) Teachers living together in school campus and 3) Health improvement of students. The minister appreciated the efforts of the Samiti in filling up all posts of teachers in North Eastern region. Hon’ble Minister of State of Human Resource Development Shri Upendra Kushwaha, Secretary School Education Shri Anil Swarup, Joint Secretaries and Financial Advisor of MHRD and NVS Commissioner, other Members and senior officials from the Samiti were also present.